The Miami based doom outfit pays tribute to classic horror flicks with this video, that premiered on Revolver. 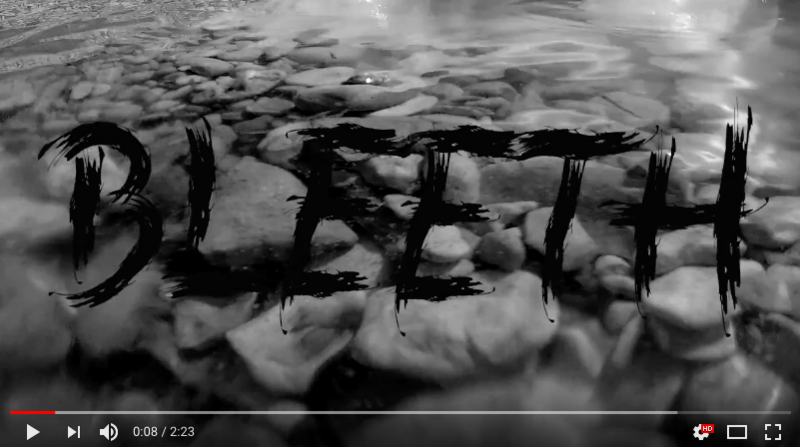 BLEETH is back to assault out ears with another sonic tidal wave, this time in the form of instrumental track “Revenant”, from their recently released full length albumGeomancer. The LP was release to acclaim of both fans and critics, via Anti-Language Records, on August 17th. The video for “Revenant” is an ode to tension, a wink to all those B-style horror flicks watched at midnight, and a tribute to those suspenseful moments leading up to a climax. Just as the tracks beginning bars make you anticipate heaviness in the coming seconds, so does the video’s plot and film style get faster and more frenzied. Director Ana Treviño manages to substitute any interaction, secondary characters, or dialogue with Bleeth’s music, and the end result is a short film that one want to keep watching, to see what will happen. Dancer Emily Farr does a great job of interpreting the non-existent vocals, and makes the track transform into film seamlessly. “A petrified tree whispers in the shadows, the rising force of a tempest is at your back, the rush of anxiety before action, the future is unclear but, the act is imminent. A moment in flux. Will this knowledge lift your veil of naivety?” – Bleeth, about “Revenant”. Next PostNoise-rock outfit Wrong headline West-Coast tour!